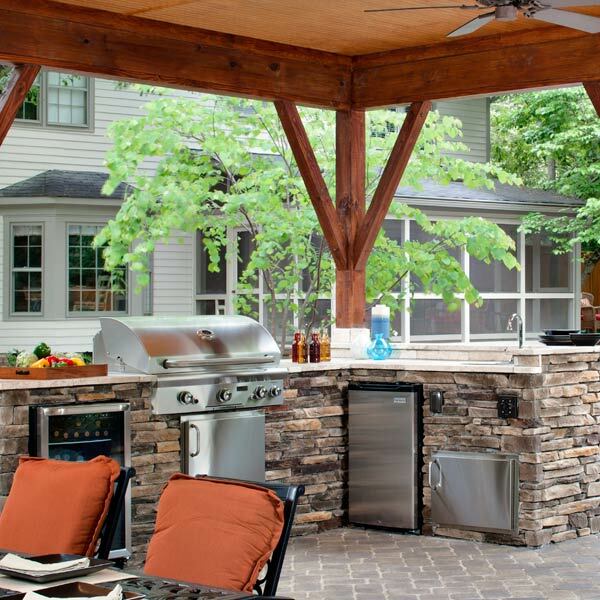 An outdoor kitchen can be a great addition to your outdoor living space and maximize your backyard year-round. 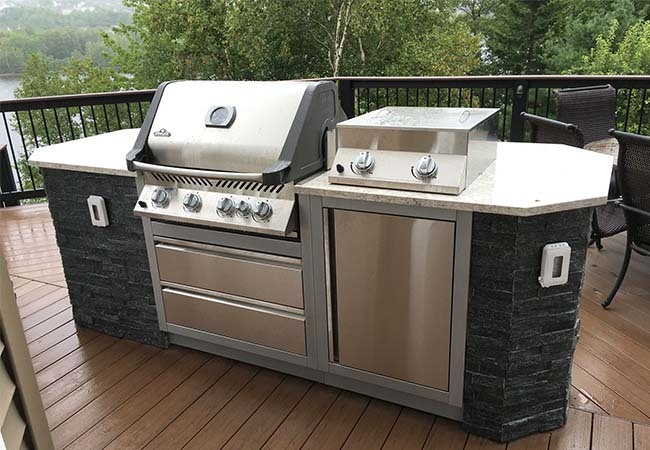 It can be as simple as a built in grill, or as elaborate as a fully outfitted kitchen complete with wine fridge, multi-burner grill top, and sink. We’re here to help create the ultimate cooking area and make your backyard dreams come true!